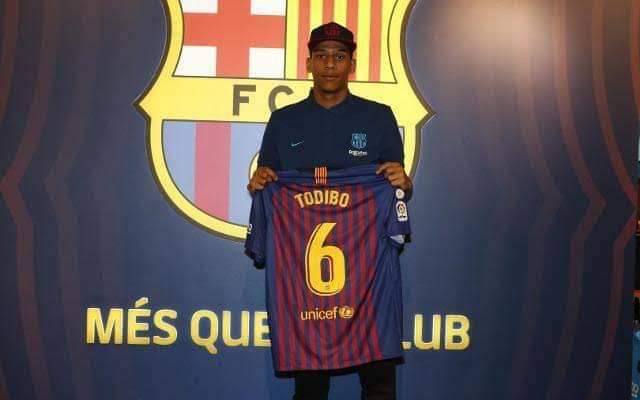 In what appears to be a busy January window for La Liga champions, Barcelona, Jean-Clair Tobido became a Blaugrana player six months earlier than it was expected from Toulouse. The highly rated 19-year old is believed to have cost the Catalan side about €2m and will use the number 6 shirt when he joins the team in July. The French youngster is rated as a huge prospect and plays as a central defender and a defensive midfielder. Barça also won the race to the to sign Brazilian protege De Souza Emerson. The 20-year-old Brazilian cost the LaLiga leaders around €12million from Atletico Miniero.